Three event planners give their view on the Natural History Museum, a log cabin hideaway and a historic hotel as venues for teambuilding activities. The venue "We work with so many great venues it's hard to pick a favourite but probably the most iconic is London's Natural History Museum (NHM) because of its immense scale and event opportunities. We launched our indoor team challenges there in 2014. It's such an exciting, educational and fascinating venue that lends itself perfectly to our indoor Museum Explorer challenge." The work "Wildgoose hosted a social team event for Amex at the NHM in June last year. Playing the Museum Explorer, the 50-strong team were split into groups and encouraged to discover hidden facts and amazing artefacts while answering questions and completing photo and video challenges along the way." Meeting space During the day, when the museum is open to the public, the Flett Event Theatre can be booked for meetings of up to 209 delegates. 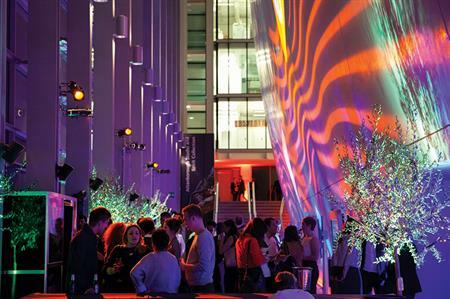 Once it closes in the evening, guests can have full run of the historic building, from gala dinners alongside the dinosaurs to drinks receptions in the Darwin Centre. The venue "The Lookout is nestled in the middle of Hyde Park and makes for a great hideaway in central London. Its contemporary, log cabin-style architecture and peaceful, meadow-themed gardens provide a little oasis of tranquillity that allows a sense of escapism from busy city life." The work "Last summer we held a bicycle workshop-styled teambuilding event for 150 guests there. Divided into groups, teams utilised the outdoor spaces where they were challenged to engage in various tasks. One of the more difficult exercises involved them navigating their way around a course on a tricycle, blindfolded, relying on their partner's directions. The day ended with a relaxed BBQ and retro-style disco." Meeting space For meetings, the Lookout can seat up to 100 guests and is equipped with digital whiteboards and wi-fi. Hire of the space can also incorporate Hyde Park's Edwardian Gatehouse, taking the total capacity up to 300. The venue "I'd recommend QHotels Chesford Grange, Warwickshire. The meeting and events space is perfect for large teambuilding events and the outdoor areas offer some real versatility. The diverse range of meeting rooms and syndicates enables you to split groups into private areas, perfect for when teams go head to head." The work "I had the pleasure of running our Moviedrome event at Chesford Grange in 2015 for Bunzl Cleaning & Hygiene Supplies. We staged a technological blackout at the start of their conference, handing over the responsibility for the content to the audience. In teams they utilised the different areas of the hotel to produce a three-minute video on specific business topics to present to their colleagues." Meeting space Chesford Grange's dedicated event centre contains 13 flexible meeting spaces, holding up to 700 delegates. The historic hotel is set within 17 acres of landscaped grounds on the edge of the River Avon and boasts 300 bedrooms, leisure and spa facilities, plus its own restaurant.